Ovnimoon Records presents psychedelic downtempo dub world bridging electronic music from German multi-instrumental artist Zsolt Biro aka Oudviber titled Urban Oasis, prepare to get taken away deep into these mystic realms of ethno-electornics. 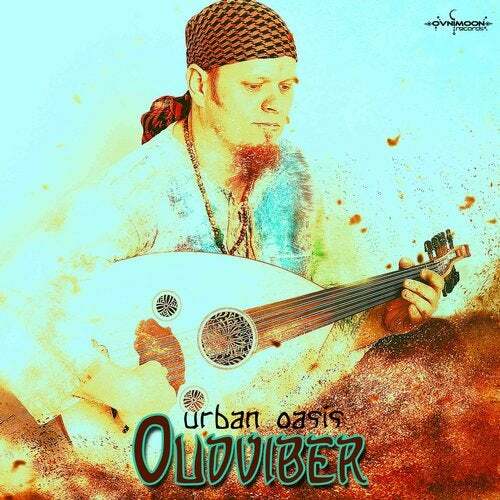 Oudviber's soul is divided between the Western and the Oriental world: he traveled many times in the Middle-East and he fell in love with the people and the culture - this is reflected in his music. In this project the middle-eastern instruments (Oud, Baglama and mouth harp) provide the core of his music, surrounded by a shell of electronic ambient and downtempo. He is like a band with one member: he gives concerts using his instruments; therefore each and every performance is unique and unrepeatable. He would be happy to see both the psybies and the people of the eastern world among his audience. Oudviber is either a unique mixture of cultures or a multiplied personality: he is a born European who - after years of studying the music of the western world - unexpectedly fell in love with the world of the One Thousand and One Nights and decided to replace the guitar and the cello by the Oud (Arabic lute), the baglama (Turkish instrument) and the mouth harp. At the same time he maintained his interest in the electronic musical genres and started experimenting by creating a piquant cocktail of these seemingly contradicting ingredients. In this project the middle-eastern instruments provide the core of his music, surrounded by a shell of electronic ambient and downtempo. Even though he has not (yet) participated in any beauty pageant contests, he also plans to support "world peace" in his unique way: by bringing eastern and western people to the same platform - through his music.